New Art! 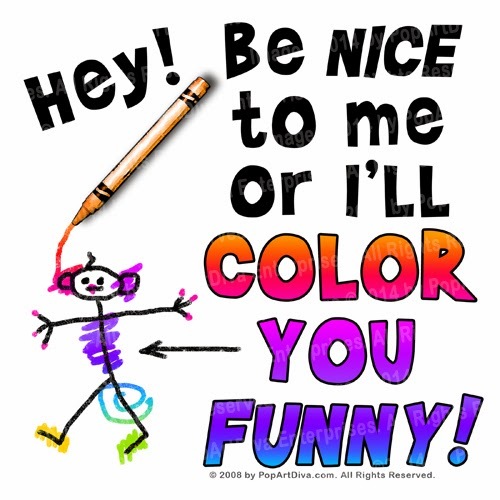 Be Nice To Me Or I'LL COLOR YOU FUNNY! I think this is a perfect design for budding artists of all ages, professional artists, crafts persons and art show participants. 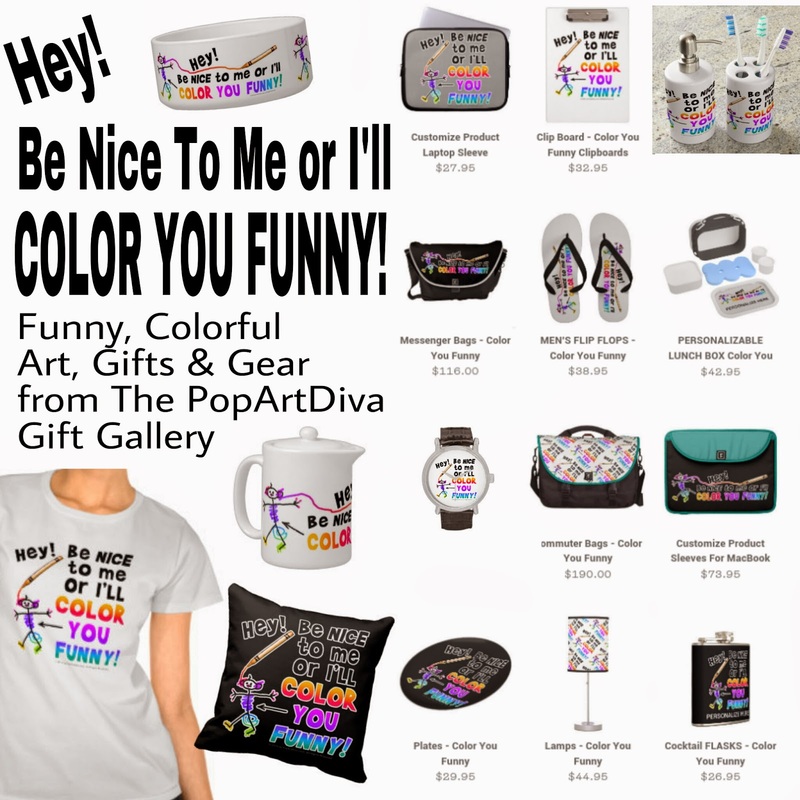 It's whimsical, funny and involves crayons - all of which appeal to artists in any age group. The whole idea came from an inside joke at the art shows that I did for decades. I did up a hand painted t-shirt for myself to wear at the shows many years ago and every artist who saw it wanted one. I was no way going to hand paint dozens of the same shirt and never got around to printing some up, but I always loved this design. Finally, I have brought it back to life and now it's up on not only t-shirts but other apparel, gifts and gear as well. 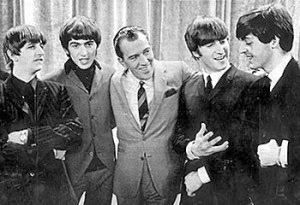 Today is the 50th Anniversary of The Beatles' first arrival on American shores and this Sunday marks the 50th anniversary of The Beatles first appearance on The Ed Sullivan Show. 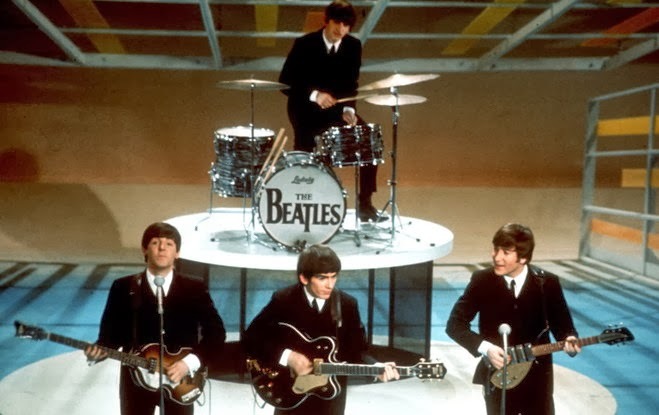 This was their dynamic debut in America and the start of what is now called the British Invasion, a wave of pop stars from across the Pond bringing their unique music to American teenagers. Neither The Beatles nor America knew what a change to history this would make. Now fifty years later we live in a world where one Beatle, John, was assassinated in our country, another was lost to cancer, (George), all four Beatles received the MBE, one Beatle, Sir Paul, is a Knight and there is hardly anyone on Earth who has not heard a Beatles song. Seventy-three million people were reported to have watched the first show. It is still supposed to be one of the largest viewing audiences ever in the States. On that fateful Sunday night, fifty years ago, I was glued to the television set and tuned into the Ed Sullivan Show with nearly every other kid in the United States. It one of the seminal moments in the history of television. If you're old enough, I'll bet you were also one of those 73 million. It was the start of a fifty year love affair with The Beatles for me. I bought every single, every album The Beatles ever produced, including some obscure ones from before Ringo. I was officially a "Beatlemaniac" from that point on and I still am. I've stayed with them through their all their iterations. From their early pop phase, transition phase, psychedelic phase (their swami phase) and their back to rock and roll basics phase. I wailed at Yoko, cried at the break-up, mourned the deaths of John and George and continued to buy their music as soloists. I own the The Beatles Anthology in DVD and book form. I have the entire Beatles collection on digital format as well. Sunday CBS will air "The Night That Changed America: A Grammy Salute to the Beatles," at 7 p.m. and, just like the first time the Beatles stepped up on stage in America, I will be there to watch. 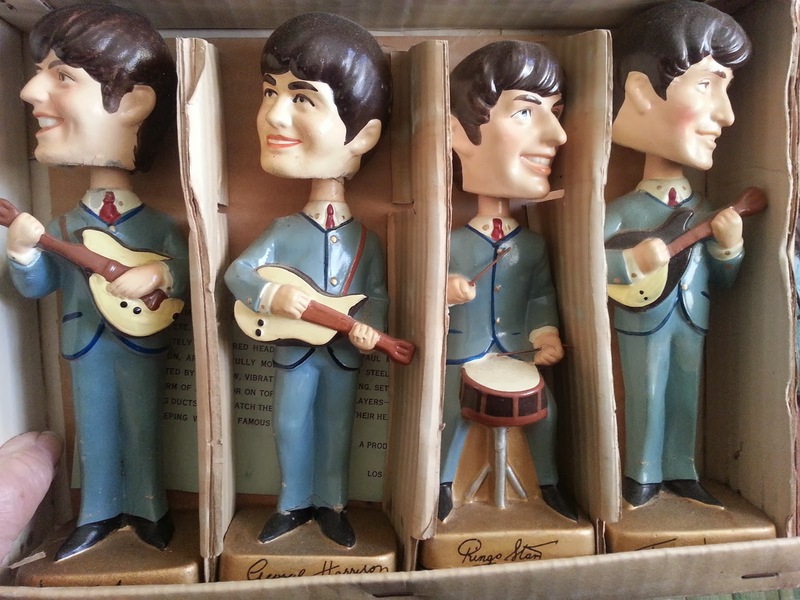 Yes, I'm pulling out my Beatles Bobbin Head Dolls. 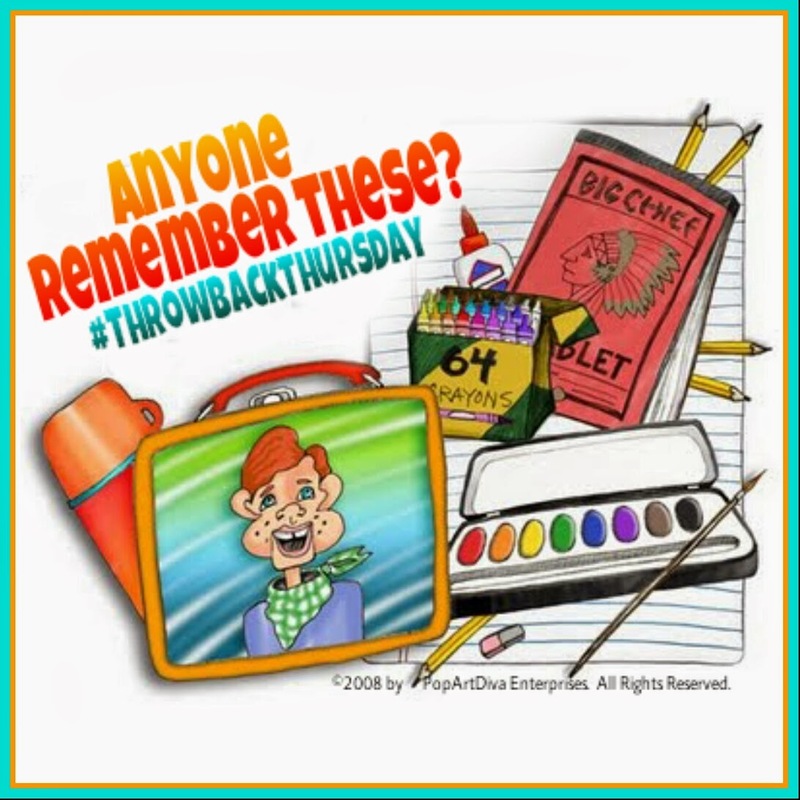 I didn't carry a smartphone to school, I carried a Howdy Doody lunch pail.